Why more than 160 European and US companies prefer to work with us? 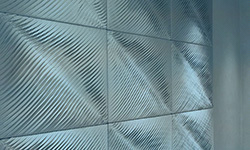 Our company has been developing solutions in the acoustical comfort field for more than 10 years. We design and manufacture products for cars, houses and and many other objectives in sound absorption and insulation areas. Our R&D and acoustical engineers have an extensive experience dealing with the most challenging and non-standard assignments. In addition to that, we have been a long term stable supplier to large industrial facilities and vehicle assembly plants in various countries. Our product line in automotive sound deadening line comprises of more than 45 types of materials of different applications and price tags. We've been on USA market for already 6 years and have proved to be a reliable partner to many federal companies. We also earned many positive feedbacks to our products on EBAY, AMAZON and others platforms. 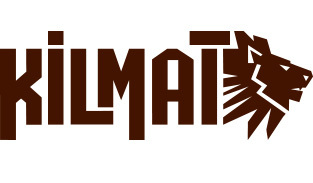 All of our products are certified and environmentally safe. STP Atlantic is an industrial design and engineering company with priority direction of developing the innovational solutions in area of acoustical comfort. Our R&D specialists are proud of the fact that they constantly develop new and yet more effective solutions to cope with a noise, vibrations and other challenges in field of acoustics. We possess the solutions with the most effective index of sound deadening and vibrations cutback, capable of reducing the harmful impact of mentioned factors by dozens of time. We design and distribute the sound deadening kits for all body parts of vehicle in a restoration business. Our body kits meet the requirements of comprehensive sound deadening and vibro dampening technology, and feature the most effective index of vibration and noise reduction. Our engineers and acoustical specialist will be able to meet your specific custom requirements includind an individual orders for non-standard items. 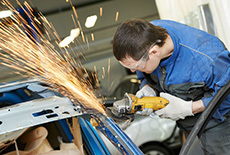 We supply sound deadening and vibro dampening materials to the largest car assembly facilities. Many vehicles leave assembly line with our materials installed to it. Our products have been tested in engineering departments, certified by acoustical lab and completely comply with the requirements set by global vehicle manufacturers. With that being said, we offer a wide range of factory style sound deadening and vibration dampening materials designated for series production cars. Our products would be completely identical to factory component of your car. The installation of our materials would dramatically contribute to vehicle components reinforcement and considerably reduce the stress that car body is exposed to. Our products do not only reduce vibration stress of sheet metal parts but also considerably reinforces both, body elements and all structure in general. 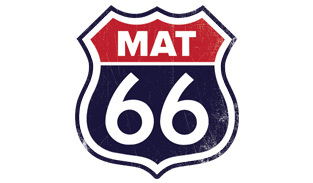 Our product range includes asphalt based, butyl rubber and multilayer self adhesive materials of 60 mil to 150 mil thickness that are capable of seriously reinforcing the vehicle body stiffness and improve it's operating properties. We are able of handling the challenges of any difficulty level including the most specific assignments our partners might possibly have. We totally understand how important it is to maintain the comfortable interior temperature for the RV owners. This is why we have designed the solution on the basis of our products that will help to preserve the coolness of the interior during the summer or pleasant warmth at winter. Specially designed materials will provide the effective thermal insulation to your vehicle, help saving a gas used for heating or cooling and create ultimate comfort for you during your rest or sleep. An additional sound deadening effect of our materials would largely contribute to overall protection from the ambient road noise, rain or hail noise, as well as considerably improve the audio system quality in your RV. We love quality sound and clearly understand how important it is for you too. 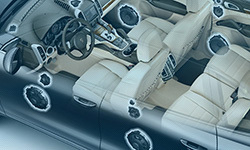 This is why besides the sound deadening and vibro dampening products, we also specialize in the acoustical materials that remarkably improve the sound quality of your vehicle acoustics, increasing the volume, enhancing the bass and eliminating a distortion. We offer the product that is capable of creating the utmost clear sounding of any class of audio devices (from basic car audio devices to the latest generation HI-END stereo). We would provide you with a detailed advise regarding the application of materials depending on your project. What does complete comfort at long trip or during the rest stand for? A cosy, warm or cool optional climate of your RV? No distracting road noise or noise of passing cars without hearing a rain dropping on your roof? Yours or your baby peaceful sleep that is not interfered by any ambient noises? Quality stereo sound, deep and tight bass, no distortions? These are exact requirements that were posed during the development of our materials. 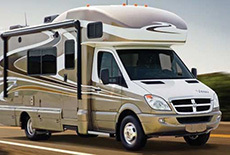 We would provide you with solution that would easily make your RV truly cozy and comfortable. It would also cut an irritating body vibration, provide effective sound deadening and thermal insulation, as well as contribute to right sound of your acoustics. You can even go bragging you've got the quietest truck in a neighborhood. Or it just could be your secret till you eventually want to sell that for more. 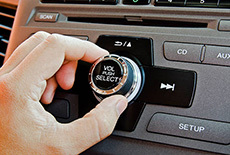 The important part of great car audio sound is vibration dampening and sound deadening of the body. We've been successfully developing such materials for the last 8 years and presently offer the entire range of solutions when it comes to upgrading your car audio. Our products can handle both, simple tasks of regular car stereo upgrade and individual assignments of sound correction of any level. The vehicle built with our materials have repeatedly won the car stereo competitions on various continents that is why we can help with the preparation of your vehicle for the competition or any other car audio event. Our materials are great for creating acoustical enclosures, as a basis for the subwoofers and for tuning the sound for any audio devices. The most popular objective when it comes to car audio is a peak volume increase without compromising on sound quality or getting an additional distortions.The installation of decent audio equipment is not the only way to resolve this issue. 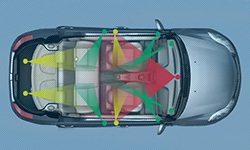 Another important attribute of this task is correct and professional acoustical preparation of the vehicle seeing a quality sound deadening gains you a significant volume increase even on factory stock audio devices. The sound deadening of vehicle interior is a mandatory operation that should be followed up when it comes to installing a top end audio equipment, otherwise it could be a waste of money. 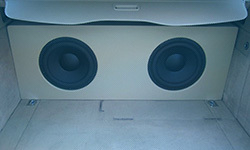 You would be able to achieve maximum loud and quality sound of your car audio with aid of our materials. Are you professionally dealing with the car audio or simply want to build the enclosure for the subwoofer or other device? You would need a professional acoustical materials if you are after quality result. Using our materials you would be able to solve any task related to building an acoustical enclosure, subwoofer or simply improving the existing speakers sound in doors, trunk or other locations within your vehicle. Our products are successfully used within a home theaters or home speaker systems as well. Our company develop the solutions and supply the materials oriented towards the sound deadening of accomodations and living areas. You can noise insulate your bedroom, improve a home theater performance, get rid of noise created by neighbors or create a soundproofing barrier from the noisy premise (boiler room, generator, compressor, etc). Our materials are easy to install and offer a high sound proofing and vibration absorption coefficient. The thickness might vary and material comes with or without an adhesive layer. High quality and effectiveness of our materials will provide a protection from noise for many years to come. The complaints about noisy iron tubs or metal sinks are a common fact among the customers. Air ducts, HVAC and metal water supply pipes do also create some undesirable disturbance. We have designed a range of purposeful materials to specifically target the mentioned issues. 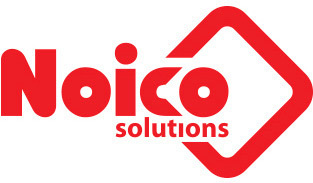 We can help finding a right solution for noise reduction of almost any device or gear. The noise reduction can be applied to both, device itself or a room that surrounds the source of noise. It is a common fact that running generator or a compressor can cause an undesirable noise that we all have to tolerate. Our company design a special solutions targeting noise and vibration reduction caused by such devices. Our products allow to notably lessen the low and high frequency noise caused by different devices. You can adhere the material into the casing of the noisy device or insulate the room that accomodates the source of noise. All of our materials are made easy to install and very effectively target the sound absorption and vibration dampening. It also lasts for dozens of years. The range of products includes moisture resistant materials and products with high thermal insulation properties.